How Long Should You Wait Between Caffeine and Bedtime? Caffeine can be one of the great joys of life. However, if you have difficulty falling asleep, as occurs with insomnia, caffeine in coffee, tea, or soda pop may be the bane of your existence. Learn how much time should elapse and what symptoms you might experience if you don’t wait long enough before going to sleep. Good sleep occurs when it is properly timed to take advantage of both the body’s circadian rhythm and sleep drive. For most people, this means spending a prolonged period awake during the day (typically lasting about 16 hours) and attempting to sleep at night. In particular, the sleep drive may be affected by caffeine use. The sleep drive is understood as the desire for sleep. It builds gradually with wakefulness due to the accumulation in the brain of a chemical called adenosine. Adenosine is a byproduct of metabolism and the longer we stay awake, the more it accumulates and the sleepier we gradually become. Caffeine directly blocks adenosine. This in effect reduces sleepiness and may contribute to difficulty falling or staying asleep after it is consumed. If you are extra sleepy, due to higher adenosine levels from poor quality or inadequate sleep, it may seem to have little to no effect. The million-dollar question is: How long should you wait between your last coffee or soda pop and going to bed to sleep? This is likely highly variable and is dependent on your individual levels of adenosine, your ability to clear it, and an underlying tendency towards insomnia. When someone never seems to experience insomnia, caffeine may have little impact on sleep onset. For most people, caffeine should be avoided for 4 to 6 hours before bedtime. If you are highly sensitive to the stimulant, you might consider cutting it out after noon (or perhaps entirely). Since there is some variability in its impacts, you could start by reducing it late and gradually move the deadline to stop drinking caffeine earlier as needed. Remember that it can be found in coffee, soda pop, tea, energy drinks, and even chocolate. There are even some medications and over-the-counter supplements that may contain caffeine, so read the ingredient labels carefully. Caffeine may affect your sleep, but this may not be the only contributing factor. If you continue to struggle with insomnia, speak with a sleep specialist about other ways to improve your sleep, including participating in a cognitive behavioral therapy for insomnia (CBTI) program. 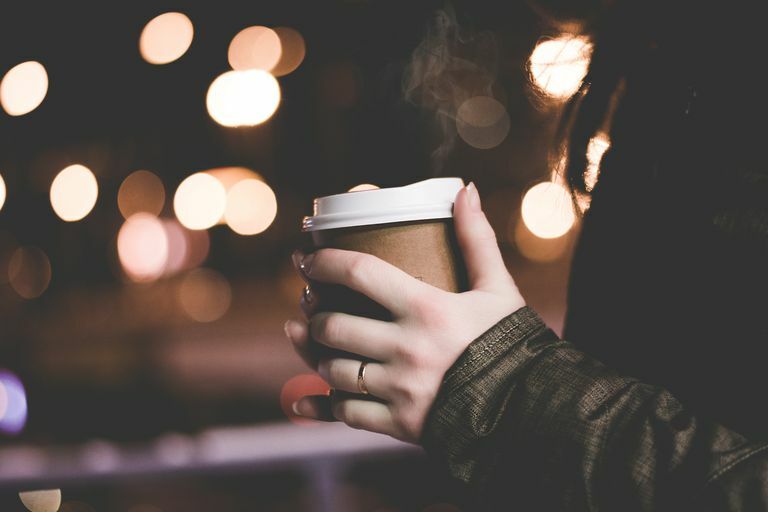 Though caffeine may make it hard to fall asleep at the beginning of the night, other conditions may cause you to frequently wake before morning. Drake C et al. "​Caffeine effects on sleep taken 0, 3, or 6 hours before going to bed." J Clin Sleep Med. 2013;9(11):1195-1200. Kryger, MH et al. "Principles and Practice of Sleep Medicine." Elsevier, 6th edition. “Healthy Sleep Tips.” National Sleep Foundation. How Does Adenosine Help You Get a Good Night's Sleep?